With DeeDee’s support, Alex graduated from high school, got her first job, and graduated from Wilmington University with a B.S. in Legal Studies. DeeDee helped prolong Alex’s ability to walk and assisted her with tasks that she used to rely on others to do. After six years of service, Alex made the difficult decision to retire DeeDee in 2014 due to her age and declining health. Without question, Alex decided to return to CPL for a successor dog. This summer, Alex graduated our three-week-long Team Training program with Shandy. With her new canine partner by her side, Alex has spoken at many CPL events, often volunteers to provide service dog demonstrations in the community, and assists her family with puppy raising for CPL’s program. Alex joined CPL’s Board of Directors in 2014 and has just completed her third semester in law school at Widener University. 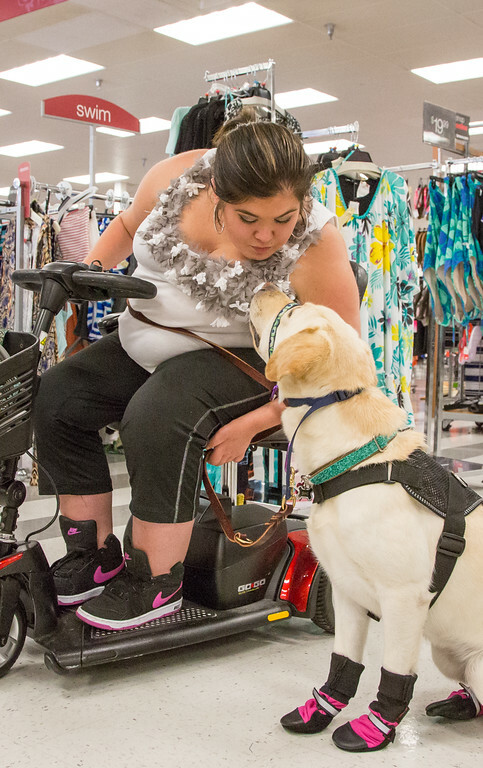 Alex’s story confirms CPL service dogs can provide people with disabilities the confidence to achieve their goals and dreams.